Unless you are a citizen of Nepal or India, you will need a visa to enter Nepal. You are welcome to obtain this from the Embassy of Nepal in your home country. 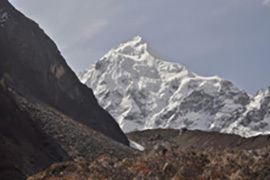 However, Nepal also offers visa-on-arrival facilities to citizens of most countries. For this you will need to carry US$ 40 in cash, and two passport size photos. You will receive the application form before landing in Kathmandu, and you will need to stand in the typically slower-moving visa on arrival line at airport immigration. Please note that visa-on-arrival is NOT available to citizens of Afghanistan, Iraq, Palestine, Somalia, Ethiopia, Liberia, Cameroon, Swaziland, Zimbabwe, Ghana, and Nigeria. If you are a citizen of one of these countries you will need to obtain your visa before flying to Nepal. If you are a resident of the following countries you must give us a minimum of one month to process an on-arrival visa to Nepal. Otherwise it will not be possible for you to attend the meeting. 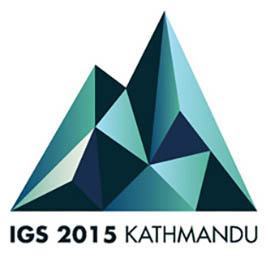 Please contact our logistics officer (IGS2015@icimod.org) and provide a scanned copy of your passport along with a completed visa application form . After the approval from the Government of Nepal a scanned copy of the approval letter will be sent to you to show on your arrival official and diplomatic counter at the Tribhuwan International Airport. Kathmandu airport is quite small, if you are lucky you can be out within 20 minutes after landing. But if many flights have landed before yours, it may take 1-2 hours to clear immigration and customs.